This is the tale of two men from the same southern city: Lexington, North Carolina. The little town, population less than 20,000, is best known as the Barbecue Capital, but also boasts two world famous entrepreneurs. 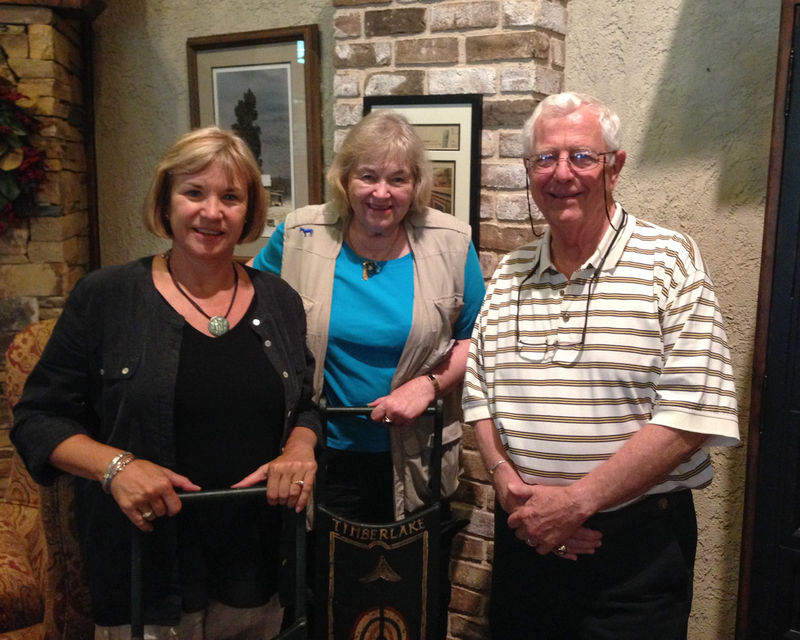 These two residents manage global businesses from their hometown; pretty impressive, I’d say. Richard Childress owns a NASCAR racing team as well as a prospering vineyard, and Bob Timberlake ranks as a top American realist artist and marketing genius. Both men support the community in numerous ways, especially the annual Lexington Barbecue Festival held every October. I was most fortunate to meet both of them during a recent visit. Childress started as a race car driver in the NASCAR Sprint Cup Series in 1969. He recorded six top-five and 76 top-10 finishes in 285 starts. However, he decided to retire as a driver in mid-1981, naming Dale Earnhardt to finish the season in his car. Childress’ real success came from building race cars and teams and sponsoring Earnhardt. Their legendary partnership continued until Earnhardt’s tragic death on the last lap of the 2001 Daytona 500 Championship. 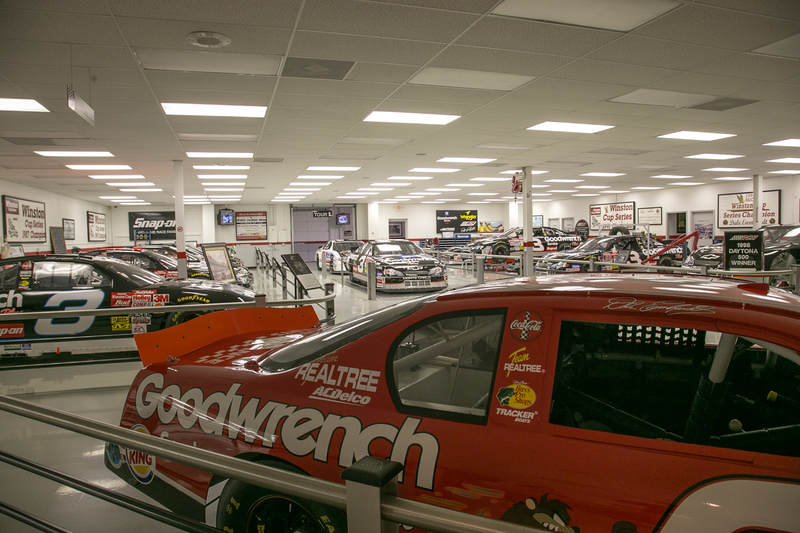 Childress continues to run his racing business and displays many of the famous cars and memorabilia from that enterprise in the RCR Racing Museum, located in nearby Welcome, NC. 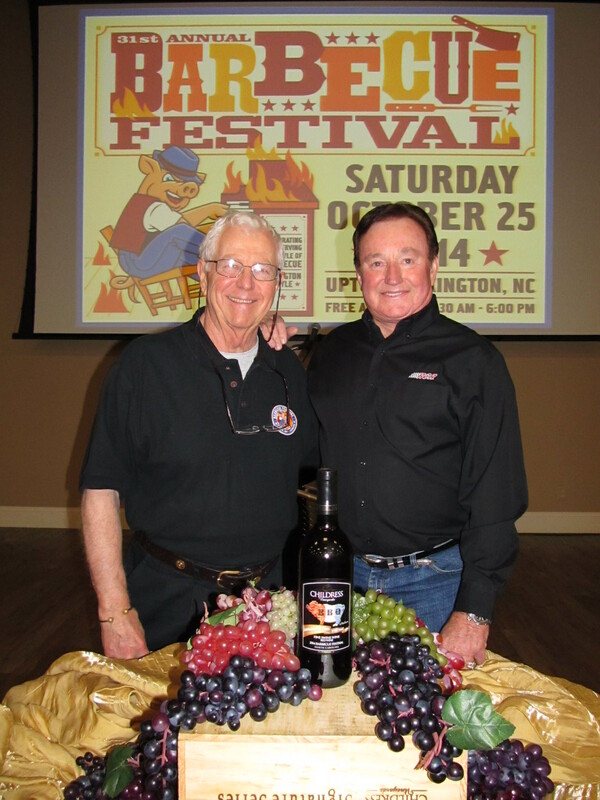 In 2004, Richard Childress fulfilled a longtime dream when he opened Childress Vineyards. His passion for wine began back in his early days of auto racing in California. He visited many estates and became absorbed in fine wine. Although he considered building a vineyard in California and New York, he chose to grow his grapes in hometown Lexington. The terroir, with its combination of humid climate, long growing season and gravely, red clay soil, are key natural features of these vineyards. 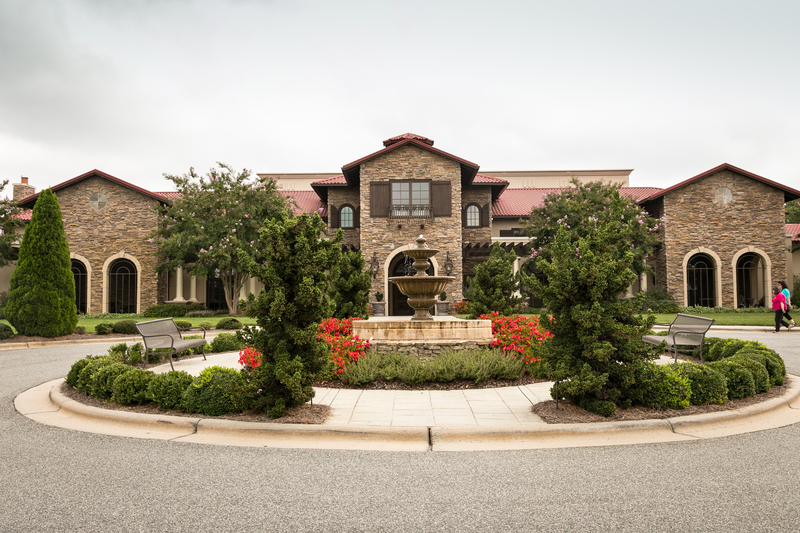 His estate house at Childress Vineyards is a commanding 35,000-square-foot building, reminiscent of a Tuscan villa, and features state-of-the art wine operations, educational tours, lunch at The Bistro, a seasonal concert series, and elegant banquet and meeting rooms. Like his RCR Racing team, Childress employs top personnel and the best equipment at Childress Vineyards. He lured award-winning winemaker Mark Friszolowski and put him in charge of the winery production. 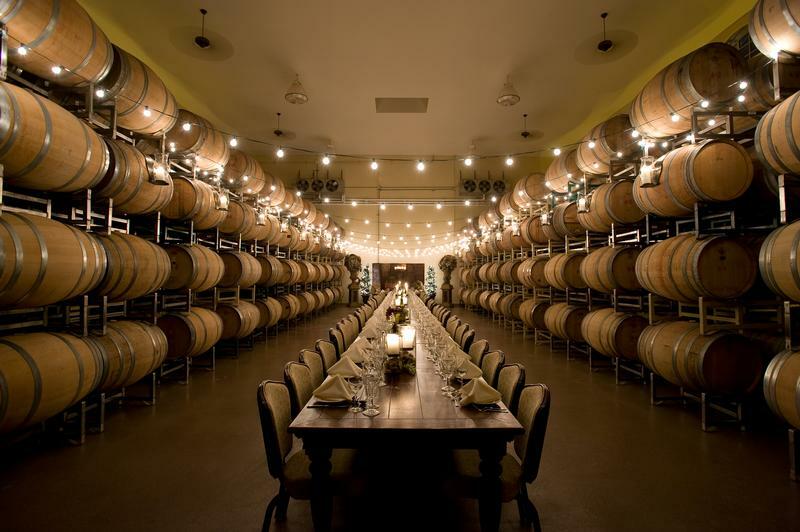 Childress Vineyards was recently selected as one of America’s top 25 tasting rooms by Wine Enthusiast magazine. 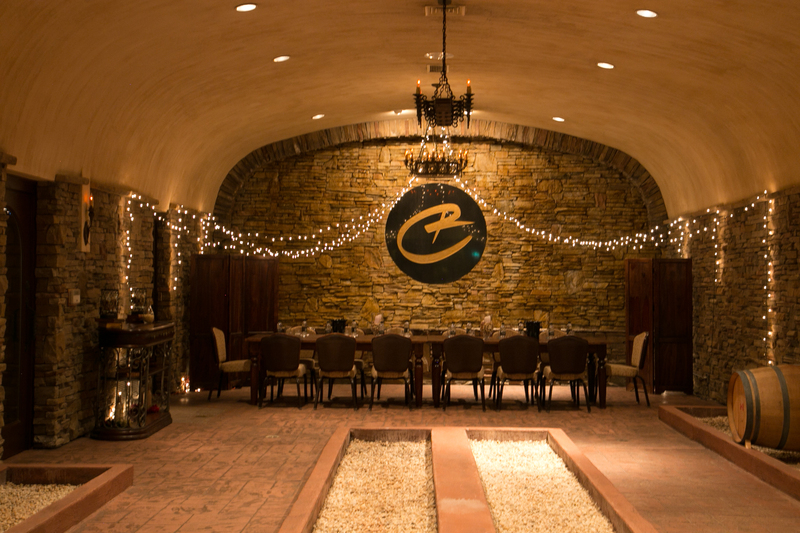 This tasting room offers two choices to help customers learn and select wines. The Cellar Select Tasting offers predominantly off-dry wines and the Barrel Select Tasting features dry full bodied wines. Both tastings includes eight half-ounce pours and a souvenir glass. I took the Barrel Select Tasting and sipped Sauvignon Blanc, Reserve Chardonnay, Sangiovese, Pinnacle (a Bordeaux-style red blend), Merlot, Reserve Cabernet Sauvignon, Three Red (the vineyard best seller, named after the famous race car number) and a Finish Line Port. All were superb, but my taste buds preferred the Reserve Cabernet. A special appearance by Richard Childress himself was a most unexpected and delightful surprise. He was totally charming. The gift shop sells wine related products, and Childress vintages are generally priced between $10- $25 per bottle; the special select 2010 Richard’s Red goes for $50 a bottle. Another day, I stopped into the Bob Timberlake Gallery, expecting to see Bob’s paintings and reproductions. Oh my, I was wrong. His Gallery is much more than artwork. I learned that its structure is the culmination of the artist’s dream and was ten years in the making. It includes his own line of finely crafted furniture, inspired by 18th century craftsmen, and arranged in ways that make you want to sit down and linger. However, it is certainly not a typical furniture store. The sprawling building is light and airy, dominated by a huge stone chimney. Its inviting rooms seem to go on forever. Walls are hung with decorative accessories, antiques and end tables that showcase Timberlake lamps. The highlight, other than artwork, is the fully rigged, antique sailing canoe suspended in the main gallery. Timberlake has cleverly combined his artistic view to design lines of home furnishings and rugs. He has even licensed his name on an array of items like so many clothing designers, sports figures and chefs. But his look stays true; everything that bears the Bob Timberlake name reflects a comfortable, casual and slightly elegant touch. I meandered around, and was surprised to find a coffee shop and the artist in person. Bob Timberlake presented himself as a down to earth friendly man. He is primarily known for his watercolor paintings, which I would describe as realistic country scenes or refined folk art. You can clearly see the influence of Andrew Wyeth in his work. Although Timberlake was self-taught, he was mentored by the famous artist. Another surprise: Timberlake didn’t begin his professional career until 1970, when he was 33 years old. Having met both unassuming men, I can understand how they would be friends. They both support the Lexington Barbecue Festival. Childress Vineyards is a primary sponsor of the annual event held in October. Artist Bob Timberlake designs a label and Childress bottles a special vintage called Fine Swine Wine. Bottles go on sale the morning of the Festival and sell out quickly. The extravaganza attracts 200,000 people and has been called one of the Top Ten One-Day Festivals in the U.S. Mark your calendar to attend the Lexington BBQ Festival on October 24, 2015. You just might meet these two men as well.